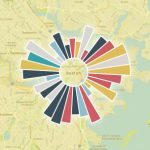 We’re looking to add an infographic design intern to our team here at Datalabs. Our Infographic Designers are the agency’s creative visualisers and graphic designers, working on the creation of infographics and data visualisation projects. Our agency creates data-driven visual content and reports for consumers (B2C) and to internal audiences and other businesses (B2B). These internship positions work on more than one design brief at a time. 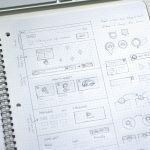 Taking an infographic story document and mocking up sketches or wireframes for the infographic’s layout & visuals. Bringing those sketches or wireframes to life, using Adobe Illustrator and your own artistic skills to produce a finished infographic. Visualising data in innovative ways, teasing out the narrative that effectively tells the story and using Illustrator, PowerPoint and other software to communicate that story. Brainstorming new ideas and concepts for clients. Presenting the creative designs to clients. Staying curious, constantly vetting new technology for producing visual content, particularly in the areas of design, data visualisation, and motion design. By pushing the boundaries of software programs such as Adobe Illustrator, After Effects, InDesign, Premier, Dreamweaver, you’ll work with us to create new ways to engage with media. Learning others, such as our data visualisation and infographic design team, marketing and account managers, story editors, data analysts or other technicians. Experience in a similar position or a strong body of infographic work. Highly proficient in Adobe Illustrator. These are the true skills needed to be successful in the Infographic Design Intern position. Knowledge and understanding of other software in Adobe’s Creative Cloud is preferable, but not necessary: After Effects, Premier, InDesign, Dreamweaver, Flash, & Lightroom. Please send a brief cover letter and your digital portfolio of infographics to gday@datalabs.com.au – PDFs, URLs, and Behance sites are preferred formats to review creative work, but we will look at other formats and presentations, as well. Our internship positions are located at Datalabs’ office in Fitzroy, Victoria, Australia. To be eligible for this position, you must have an appropriate Australian and/or New Zealand work visa.